﻿The mostly narrative poems gathered together in A Lamb, Bridgman’s first volume of poetry, comprise a diverse assemblage. They speak to the reader in markedly differing voices and accents. They give expression to insights and revelations, large and small. They present fleeting glimpses of splendour and of dread alongside pings of epiphany, incanted and decanted from the poet’s experience and imaginings. Bridgman engages, of course, with the big themes—love and loss, darkness and light, life, death and redemption—but he does so with humour and wit. Expect to find instances of whimsy and beauty in these poems. Be prepared too, though, for moments of crushing darkness and for the occasional withering dismissal of the banal and corrosive “values” which have migrated insidiously from the marketplace and taken hold in the politics and public discourse of our troubled times. I eavesdrop on public transport. P.W. 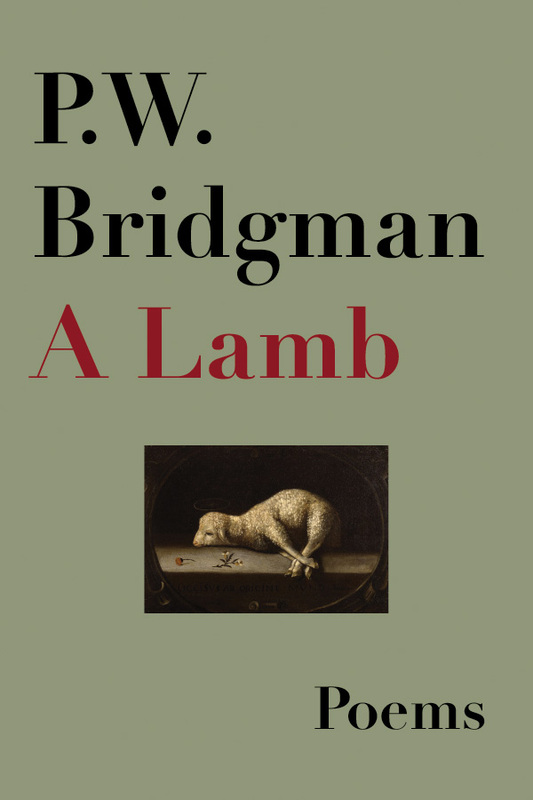 Bridgman’s A Lamb provides a similar pleasure and host to the imagination. The reader borne here, there, everywhere – listening in from beginning to end. Languages. Argot. Scene after scene. Plot twists. Humour. Families. Characters who squirm, sink, surface, get entangled. Uninhibited poems versed in tradition. Open hearted, quick-witted poems. Live theatre – the theatre of lives. Poetry as public transport. A ride that left me reflecting.